Situated in a magnificent area of 167,000 m on a Blue-Flag awarded coastline opposite the island of Hydra, Porto Hydra Hotel is surrounded by an immense garden full of trees and f1owers of every imaginable color. Close to Athens and at the same time so far away in a different world, Porto Hydra is ideal for vacations, opening a world full of archaeological and cultural monuments in combination with a scenic landscape. Called the "Venice of the Saronic, Porto Hydra is connected through a 3,ooo-metre-long network of navigable canals with Porto Hydra Village, a beautiful village with f1owery gardens and scenic bridges. The luxurious facilities and top quality services have earned the hotel the International Oscar of Tourism and the Excellence in Service Award of RCI. The spacious guestrooms are discreetly furnished and appointed with all modern amenities, including a veranda or garden, air conditioning, mini bar, bathroom, sitting 100m, radio, direct dial phone and TV. The main restaurant APOLLO serves a variety of local and international menu, surrounded by beautiful gardens and many verandas. There is also a tavern on the beach offering Greek specialties, a beach bar, a piano bar of the pool, the exceptional Baywatch Cafe for all-day relaxation by the beach, the Youth Club open till early in the morning with good music and a winter/summer disco. 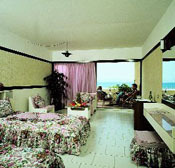 Other facilities include a large swimming pool, a fully equipped Computer Center, Internet Cafe, dancing school, arcade center, several shops, hair salon, large lounges and facilities for children. Music and dance festivals with international artists have become a tradition at Porto Hydra. 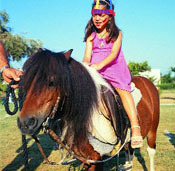 There are various special nights, gala dinners by the pool, barbecue and fish nights by the beach, Greek nights with folk dances, happenings and contests on a daily basis, the Miss Porto Hydra beauty contest, song competition, designer fashion shows, car and boat races, chess competitions, art festivals and much more. 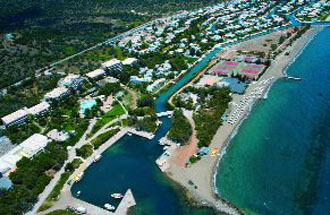 Porto Hydra is considered the best Sport Hotel in Greece. Some of the sports available include waters sports, scuba diving, water ski, jet ski, banana, tubes, canoe, wind surfing, water polo, water volley, sea bicycle, horse-back riding, tennis, basketball, volleyball, archery, darts, kung fu, tae kwon do and much more. The hotel constitutes an important conference center at a small distance from Athens, boasting 16 fully equipped conference halls with a total capacity of 2.350 participants. With a great experience in conference organization, an expert staff guarantees the success of any type of conference or social event.